I am Marshall the marshmallow kitty and I’m ready to go home with you! 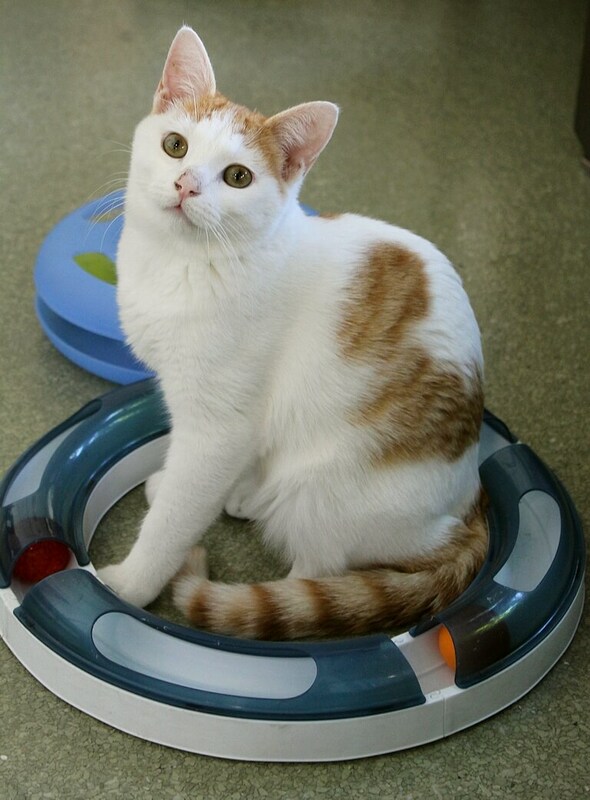 I am a sweet-as-pie 5-month-old boy and I am white with beautiful orange markings just like a toasted marshmallow fluff. I have an amazing personality and am incredibly easy-going as well as playful. I’m currently living in the Pixie cattery around lots of other cats and I get along with everyone. Even if a kitty is a little shy or hisses at me initially, I am very respectful and will just walk away and give them their space. However, if they’re friendly and playful like me, it’s time to wrestle and play tag! I definitely enjoy being around other cats and would love to have a feline friend at home that I can become best buddies with — I’ve already made a few friends here at Pixie and you can often catch me sleeping curled up with another kitty when it’s nap time. I’ve been ultra curious about dogs and seem to want to get to know everyone, and I’d be a wonderful addition to any family, whether it be all adults or tiny tots. I’m what you’re looking for! Do you have room in your home for a sweet little marshmallow like me? I am so excited to meet you — let’s mingle! I come to you fixed, vaccinated, and micro-chipped for an adoption fee of $135.